Army 2LT Peter Burks died November 14, 2007, of wounds sustained when his vehicle was struck by an improvised explosive device just outside of the Green Zone in Baghdad, Iraq. 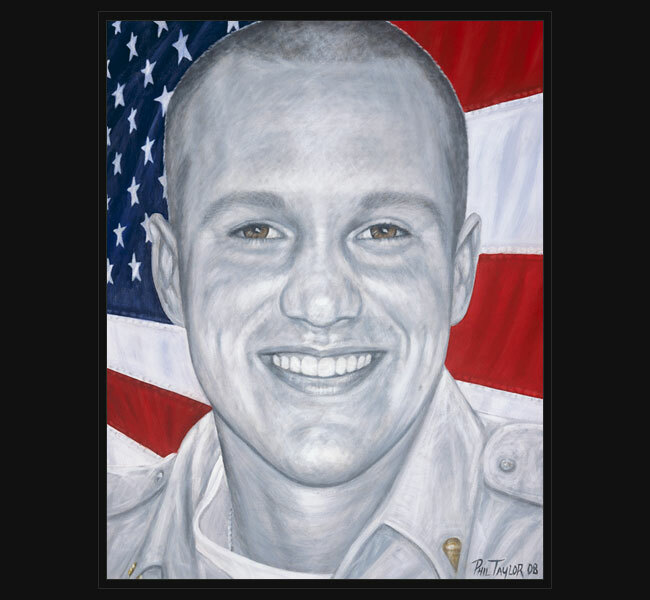 2LT Burks was deployed to Iraq approximately three months before he was killed. Alan Burks said that he wasn’t surprised that his son’s last actions involved checking on the five men with him. “He told me, over and over again, he said: ‘Dad, my job is to get my 17 guys home safe… Then after that I’ll get myself home safe,’” Alan recalled. Shortly before he was killed, Pete sent his family and friends a list of the treats his guys missed the most; the things that 20-30 year olds miss from home. He also included some items that would be helpful for the local Iraqis. 2LT Burks was a warrior, but his heart was his strongest weapon. He knew that making friends and helping those in need, most especially the Iraqi children, could do more to solve our world’s problems than simply a war. Besides his father, 2LT Burks is survived by his mother, Jackie Merck; fiancée; three sisters; brother; grandmother and grandfather.